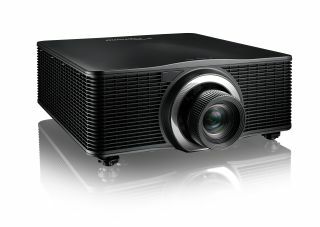 The What: Optoma launched the next-generation model to its ZU650 and ZU650+ projectors—Optoma ProScene ZU660. Improving on its predecessors, the Optoma ZU660 features four corner adjustments, enhanced color matching integration, compatibility with Optoma’s BX-CTA16 and BX-CTADOME lenses, and other performance upgrades to deliver installation versatility, reliability, and performance. The What Else: Featuring built-in advanced color matching with HSG adjustment, the ZU660 is equipped for seamless image blending and produces incredibly bright, razor-sharp images with accurate color definition. According to Optoma, the ZU660 also touts up to 20,000 hours of nearly-maintenance free operation and is compatible with multiple interchangeable optical lens options. The Bottom Line: . With 6,000 ANSI lumens and up to 2,000,000:1 contrast ratio with extreme black enabled, the ZU660 is built to effectively light up even the most complex professional settings.